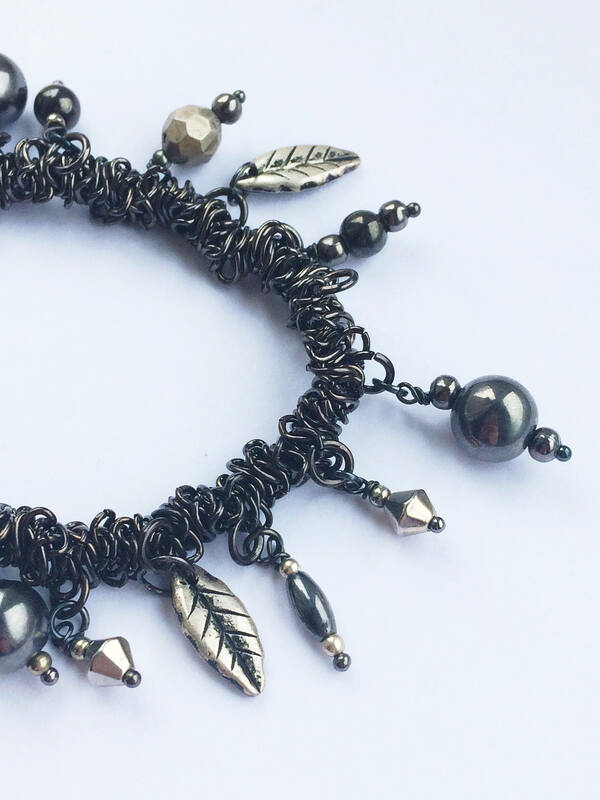 A black coloured stretch charm bracelet. The black chain is strung on elastic and therefore is an adjustable fit. The size is approximately 6" length/16cm unstretched. 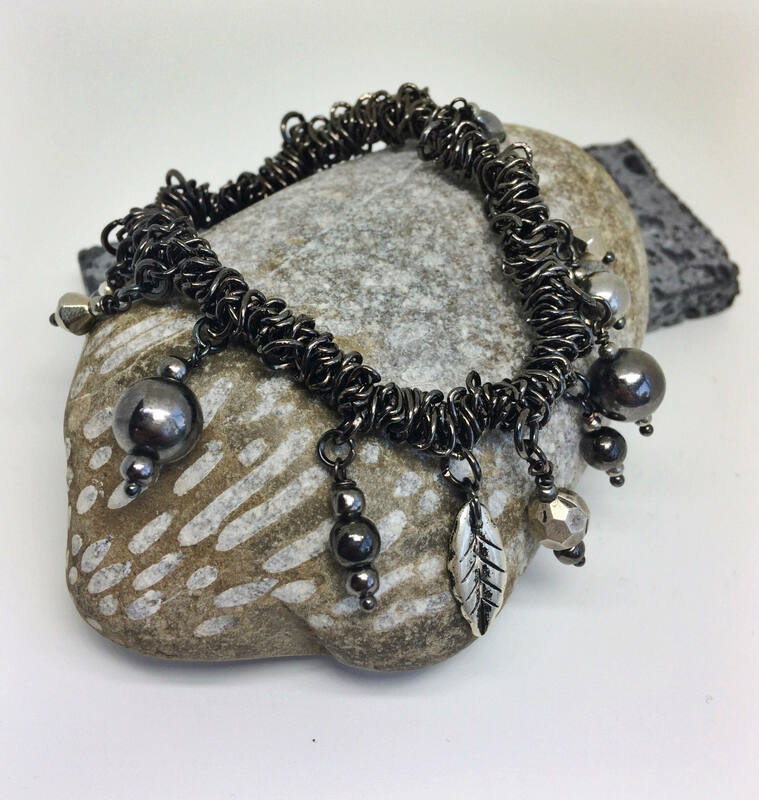 This bracelet has hematite gemstone beads in a variety of sizes and shapes. The average charm length is 1.5cm. 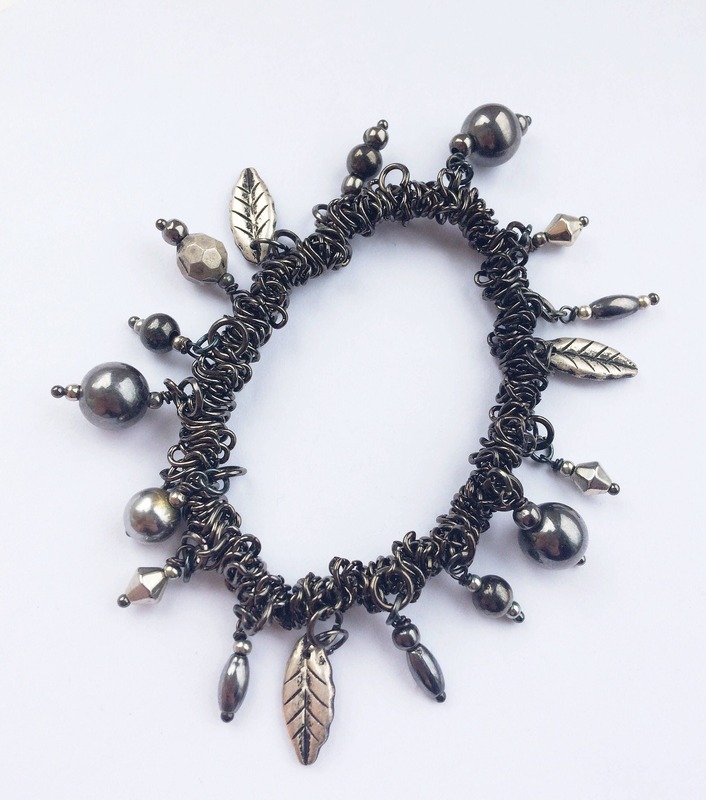 There are an assortment of mixed metal beads including silver plated leaf charms (1.6cm). 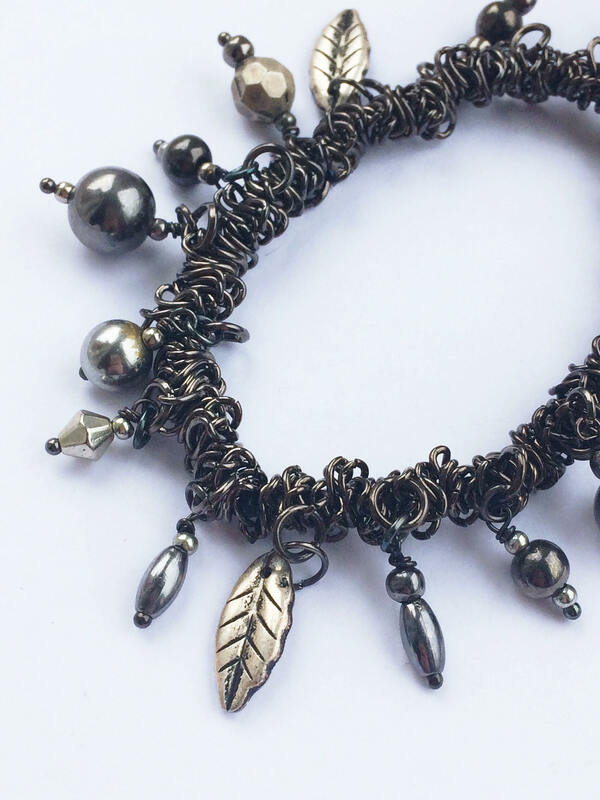 Hematite: Psychologically hematite is strong, boosting self-esteem, willpower and imparting confidence. It dissolves negative energy and protects against negativity from others. Please take a look at my shop shipping and policies section for more on shipping info, jewellery care, materials and customer requests.